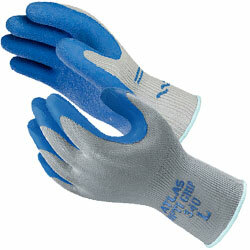 Atlas 340 Opti-Grip Gloves. Latex-coated on front and ventilated across the back to keep hands cool. Built for durability and ease of movement. Provides strong, superior grip on wet or dry surfaces or items. A dozen gloves per case.